Brazilian international Willian have been subject to speculations linking him with a move away from Chelsea. According to reports, Barcelona made a bid for the Brazilian last week with the Catalonia club including cash plus summer arrival Malcom in a bid to test Chelsea resolves, but the Blues remains resolute and rebuffed the bid. Chelsea manager Maurizio Sarri also denied such rumors sighting that the Brazilian will not depart Stamford Bridge. Now Willian has confirmed that he has no intention of living Chelsea. The former Shakter Donetsk attacker netted a crucial goal to ensure Chelsea defeated Newcastle to establish 6 points gap between the side and fifth place Arsenal to further relieve the pressure from tactician Sarri. 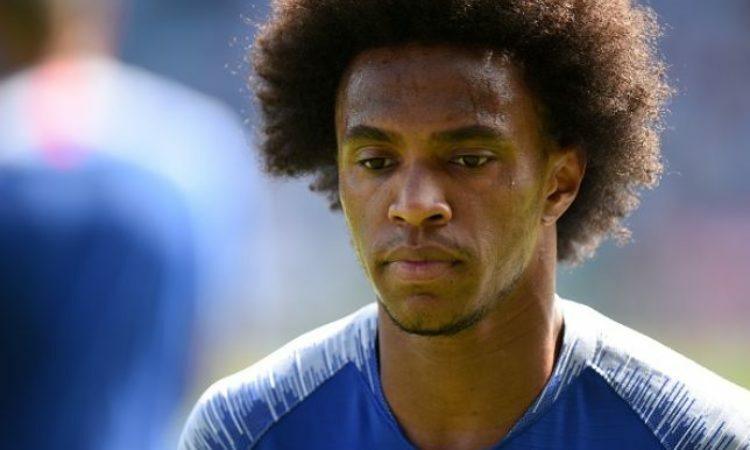 Sarri in his post-match conference repeated his view on Willian who has 18 months left in his Chelsea contract, though the Italian hinted that Chelsea could be busy in the current transfer window. Fabregas recently completed his switch from Chelsea to Monaco whch suggest that there will be replacement. The London club has considered Cagliari’s Nicolo Barella and Leandro Paredes of Zenit St Petersburg as alternatives. The Blues manager consider Jorginho’s replacement in the game against Newcastle but nobody was available on the bench.